With more than 28,000 wind turbines installed in over 30 countries Enercon is also amongst the leading wind turbine manufacturers worldwide. The gearless drive system with few rotating components enables high reliability and performance of the turbines and has thus been setting new standards for technological design. ERG is the leading wind power operator in Italy and amongst the main players in Europe with an installed capacity of 1721 MW. ERG is also active in the production of power from water and thermoelectric sources with highly efficient plants and low environmental impact. Europacable represents the largest cable makers in the world, as well as highly specialized small- and medium sized businesses from across Europe. The eawe is a registered body of research institutions and universities in Europe working on wind energy research and development: a vital academic, research community to keep Europe in the forefront of world wind energy pre-competitive innovation. 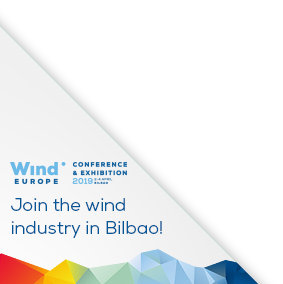 Founded in 2004 eawe formulates and executes joint R&D projects and coordinates high quality scientific research and education on wind energy at a European level. eawe is formed by a constitution with an elected President and Vice President. The head office is set in Oldenburg, Germany. Owens Corning is the global leader in the innovation manufacturing and marketing of glass fibre products glass fibre fabrics made with Advantex glass and high performance glass for wind blades. We have global manufacturing platform locations in North America Brazil the EU Russia India China Korea and Japan.